This poem has a strong voice running through it. How would you describe the speaker’s mood? I would describe the speakers voice as happy. Look at some of the more unexpected things the speaker in the poem finds beautiful, like leaves in the gutter or salt stains on shoes. Why are these details more interesting than a more obvious example of beauty, like flowers, would be? In the poem “Plenty” by Kevin Connolly one of the unexpected things that he said was beautiful was the storm. These details are more interesting because he is choosing unappealing things and describing them as beautiful. He makes the reader think why is he saying a storm is beautiful? He wants us to see that there is beauty in everything. What is the effect of the poet’s use of similes that offer more than one comparison of an image, such as “the sky, lit up like a question or / an applause meter” or “raindrops / like jewels or glass or those bright beads / girls put between the letters of the / bracelets that spell out their beautiful names”? How does this technique add to the overall feeling of the poem? The use of similes makes me feel drawn to the poem. His technique makes me feel grateful for everything I have have. This poem makes me feel sad because in our society we forget about the beauty of things, and it makes me realize we dont appreciate or pay attention the the things that the world brings for us. What actually happens in this poem? What do you know about the speaker’s life? In this poem, I think the speaker is not homeless, but someone that doesn’t have a lot. I think this because he or she appreciates and notices the little things. He finds the beauty in everything. My family is a black and white piece of artwork on a large wall full of colorful paintings. We are grey trees in a forest full of green. We are islands in the middle of the ocean. We are the instrumentalists in an orchestra playing the wrong notes. But we are a family that manoeuvres through all the impossible expectations of those around us. We are a gaggle that flies high above all the rest and enjoys seeing the imperfections of the world. We make our imperfect music that sounds like the angels to my ears but nails on a chalkboard to you. We are all similar but the difference between us is you see unappealing and we see beauty. 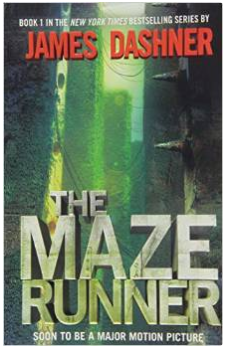 In the story “The Maze Runner” by James Dashner, you get to experience the gut wrenching events that take place in this mysterious maze. The Author is incredible, and he will leave you staring at the last page of every chapter in awe. You will not want to put the book down! You will get to know the impossible maze and what lies between the monstrous stone walls. I recommend this book to any teen who is looking for an action filled thriller. This book is great at keeping you at the edge of your seat. This dystopian science fiction novel is the first of its series and will. be great if you’re wanting to read further to know what happens. Don’t miss the Scorch Trials or Death Cure. Getto know happens with Thomas and Teresa in the 2nd and 3rd books. Will their little romance last? Or will the deadly events ruin their chances? Read to find out. In the Story “Choices” by Susan Kerslake she gives off the impression that we are responsible for the things we go through and that life is about choices. The story is about a woman who contemplates going on a trip with a friend she met over the summer. She decides to go on the trip and later gets into an accident. Throughout the story, she describes her feelings of not knowing what she’s going through. This is a very sad story especially when she come to the realization that she is paralyzed and that the man she was with is no longer there for her. But who is responsible for Peggy’s injuries? Was it Ken’s, or was it Peggy’s? Should Peggy really be responsible for the accident where she was not in control of the vehicle? The answer is yes. Peggy indeed chose to go on the trip with ken and chose to not say anything when she didn’t feel safe. She didn’t say anything when she noticed the condition in which the motor was in. She described it “Some parts were clean and shiny, most were caked with oil and dirt.” (pg.118) which was not safe. She also said “On the street at fifteen miles an hour she felt safe” (pg.118) Which was not the case when ken was driving. The author wrote “He seemed attached to the car at the small of his back, she supposed it was the pressure on the gas pedal” (pg.119). this implies that ken was driving fast and Peggy did not say anything about it. Another thing the author did was include the little fact that Peggy asked ken to stop at the liquor store. Was Ken drinking? If he was why did Peggy not voice herself if she wanted to be safe? It’s because she was to distracted by ken to say anything. And she was probably distracting him too. Peggy is a good example of a real person. We all have that person inside us that wants to leave things unfinished and not have to worry about them. Peggy analyzed the tasks she needed to get done but didn’t think about the consequences of not finishing them. We need to trust our gut feeling. This will help us make the right decision when we have to make a fast one. We don’t want to end up regretting them at the end of the day which is what Peggy felt at the end of the story.